From left to right: Martin Kocan, David Campbell (coordinator of the Monaco Postdoctoral Fellowship Program), Ma Yunxing, Pavel Aleynikov, Germàn Pérez and Liu Feng. They are in their late twenties or early thirties and have already accumulated an impressive amount of experience in fusion research. Liu and Ma from China; Germàn from Spain; Pavel from Russia and Martin from Slovakia are the third promotion of the ITER Monaco Fellows. They belong to the generation of physicists and engineers that will see electricity from fusion energy fed into the grid. At age 33 Martin Kocan is already an old hand at fusion, having spent eight years in fusion research, first in Prague and later at Tore Supra in France, where he did his PhD, and at ASDEX in Germany, where he worked three years as a postdoc. The list of his publications occupies more than three pages of his resume. At ITER, he will work with plasma physicist Steve Lisgo on plasma-wall interaction and, more specifically, on how the transport of H-localized mode and Edge Localized Modes affect the first wall of the tokamak. Liu Feng will not need to move in order to work for ITER. She's been living in Aix-en-Provence for two years now, doing postdoc research on ITER scenarios at CEA Cadache's Research Institute on Magnetic Fusion (IRFM). Her new job at ITER will be to "contribute to finding solutions to stabilize the plasma," doing simulation work and" checking codes"". Ma Yunxing was 19 when he arrived at MIT in 2006 to do his PhD in physics. Fusion was already a familiar world to him as he had taken his first course in plasma physics as a junior in college. 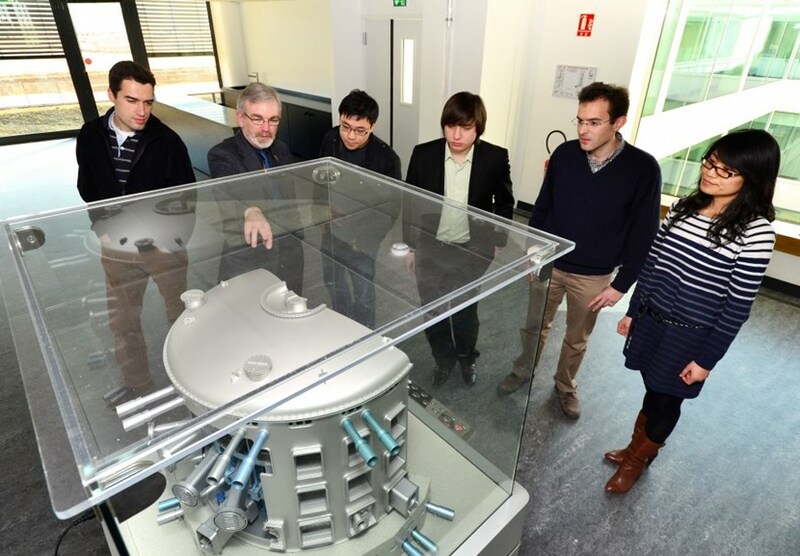 A Chinese national like Liu, Ma had never been to Europe before joining ITER as a Monaco Fellow. He finds the atmosphere here in France "much more relaxed than in China or the US." The first time Pavel Aleynikov encountered a tokamak was in his third year at Moscow's Institute of Physics and Technology. However it is not the machine (T-10) that decided his calling but the people who operated it. If T-10 didn't make "a strong impression" on him, the Tevatron at the Fermi National Accelerator Laboratory in Chicago, where he did a summer internship in 2008, certainly did. "I was very tempted to go into accelerators," he says. At ITER, he has found another team that he "liked at first sight." Pavel will be working with senior scientific officer Yuri Gribov on disruption simulation and runaway electrons. With a PhD thesis on liquid metal-cooled Generation IV fission nuclear reactors and an advanced diploma in plasmas and nuclear fusion, Germàn Pérez is a young man of two worlds. His specialties extend to thermal engineering, power cycles and power systems. At ITER he will work in the Blanket Section on "defect acceptance criteria" in the machine's first wall.